BAM Strategy partners with a diverse set of clients and an empowered team of employees to deliver innovative digital marketing solutions with a focus on accountability and excellence. BAM Strategy believe a clear brand strategy transforms the client and agency relationship into a partnership that unites them with consumers. 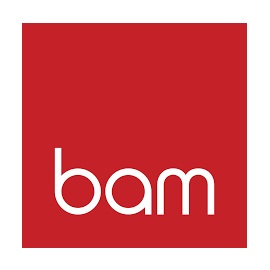 BAM Strategy are veteran strategists, applying their proven knowledge and know how to create online experiences that turn consumers into brand loyalists. BAM Strategy is committed to engaging in positive impacts in their community and their industry. BAM Strategy is looking for an Account Supervisor in Montréal, Canada. If you meet the requirements below, you will be eligible to apply via Digital Marketing Community. Lead multiple projects, assess priorities and ensure timely execution of all ongoing projects. Improve and prepare briefings, schedules, meeting minutes, follow-up documents and present to internal and external teams. Accountable for the development and management of project schedules and budgets. Assure quality at all stages of project execution. Evaluate and resolve issues that may arise during the execution of projects by providing creative and business solutions. Operate in collaboration with other departments, including finance, creative and strategy. Organize and manage third-party logistics (media companies, public relations resources, etc.). Create strong relationships with clients by ensuring regular contact and attending client meetings. Recognize and develop business opportunities with existing customers. Be on the lookout for new trends and have a thorough knowledge of the ever-evolving market. University degree (preferably in communication, marketing or advertising). Minimum of 3 years of project management experience. Demonstarted understanding of agency processes, including creative development and production. Effective experience in production for print, digital and TV an asset. Expert knowledge of MS Office and working knowledge of Adobe Creative Suite. Deep knowledge of social media and digital best practices. Willingness to participate and learn tasks outside of core job description. Great attention to detail and ability to follow procedures. Adaptability, flexibility and effective skills in interpersonal relationships. Outstanding verbal and written communication skills in English and French. Great sense of responsibility and priorities. Ability to work under pressure and manage stress.